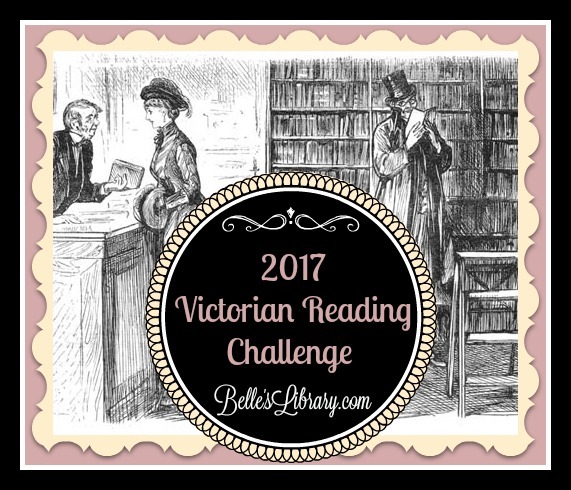 Belle's Library: Victorian Reading Challenge 2017 -- Taking Sign Ups! 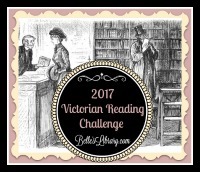 Victorian Reading Challenge 2017 -- Taking Sign Ups! I spent the first part of this year reading everything "Victorian" I could get my hands on. About half way through, things got crazy and I had very few opportunities to read. (I did get a book published, though! woop woop!) This year, I'm renewing my commitment toward Victorian studies. I'm still fascinated and there's still so much to learn! Over the past couple years, I've collected a good stack of Victorian novels and have several on my Christmas list. I spent a week in England in September visiting the Brontes old stomping grounds, and even wrote and taught a class on Victorian Sci Fi and Fantasy literature. 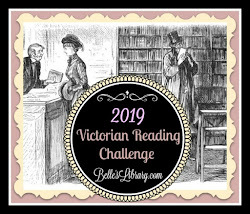 This year's reading challenge will be all about the Victorians. I'll be putting together a list of books I plan to read for this challenge and will link it here when I'm done. I'd love to hear about your plans for this challenge so let me know in the comments below! Also, if you know of other great reading challenges to join, I'd love to hear about them! What a beautiful challenge! You've motivated me to explore what this type of literature has in store. If I find one that intrigues me to read, I'll check back here and join the challenge. Great, I hope you'll join! My bookshelves also have their fair share of Victorian novels, so I'll join your challenge, though which ones I'll read I can't predict. I certainly have several Thomas Hardy and Charles Dickens novels to pick from, a couple by George Eliot and A Study in Scarlet (Sherlock Holmes) by Sir Arthur Conan Doyle and various classic children's books that I assume (possibly incorrectly) were written in the Victorian period. I know that at least one of my modern books (Fingersmith by Sarah Waters) is set in Victorian times as well. I should look for some Dutch books, too, but older Dutch literature is not usually much fun. At least, not what I've read so far. Happy New Year! I'm glad you're joining up! I like this challenge, as I adore anything of the Victorian era. I've been reading George MacDonald's the Wise Woman. He's a new author to me. Authors I've enjoyed of that era include Lucy Maud Montgomery and Mark Twain. Although Anne of Green Gables was published in 1908, it is about the Victorian era. Are you looking forward to the new PBS Masterpiece series, Victoria? I shall have to think on these things . . .